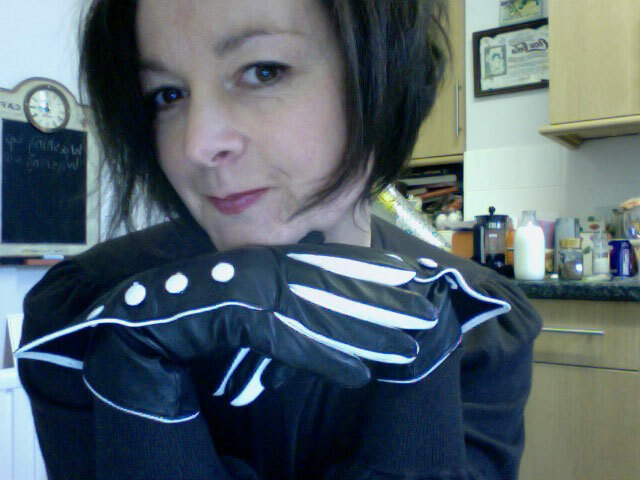 Me and my birthday gloves! Hello! I’m Janene and I live and work in West London. I am a freelance graphic designer who also sews and relishes anything creative and gorgeous. My seamstress skills are self-taught, mentored by my lovely and very talented mum. This blog is a record of my many anticipated sewing projects. Posts to include reconstruction projects, from pattern and own designs mixed up with a smattering of inspired imagery and anything else that makes me happy! Your comments are always appreciated and I hope to meet many like-minded friends in the process. Pass it along to ten people and let them know they’ve received the award. My name is Dee and I blog at Seams Sustainable(http://seamssustainable.blogspot.com). You don’t know me but I’ve nominated your wonderful blog for a Versatile Blogger award. To see the details, please visit my blog. No hard feelings if you do not wish to participate, have already received this award, or just don’t do awards. I understand. Thanks, I do love your blog. You might want to check LIEBSTER LORE on my site. Nominated you for a LIEBSTER AWARD! I love what you do. I love it all. You have inspired me to make this 1942 dress pattern into a real live dress because I love your shoe dress so much! Wow. I sound like a looney with all the loves. Oh well. THanks for the inspiration! Thanks for stopping by blog and liking my “More Vintage VW Dash Love” post. Very cool shirt you made for Mr. Ooobop! … the dash reminded me of a 60s humber sceptre I used to own especially with the horn ring! Your blog has been so interesting and inspiration, literally & figuratively helping me in sew many ways! If I could just find a copy of a Burda magazine… Your reviews keep spurring me on! My name is Hannah, and I work as a project researcher for Kollabora.com, a unique maker community where people can find and share interesting design and DIY projects. We’re building a powerful network of creative people. I came to check out your site after hearing a coworker enthuse about your prom dress, and after taking a close look, I see she wasn’t exaggerating. The craftsmanship is gorgeous. I think you would fit in amazingly at Kollabora (membership is free), and we’d all be thrilled to have you. Check out the site and let me know what you think! And if you decide to join, let me know your username so we can see your work and include it in upcoming features.